Want straight teeth? Wait no longer! We offer you a fast, safe and affordable solution- FastBraces ® Technology. Now you can have your dream smile in weeks or months! Just call 305-275-0500 for a free consultation! We offer you a fast, safe and affordable solution- FastBraces ® Technology. With an average treatment time of only six months, clear brackets and tooth-colored wires that are barely visible, FastBraces ® may be the solution for you. Please visit our website under “Smile Gallery” to see our before and after cases. With safety in mind, Fastbraces® Technology was developed to straighten teeth differently – allowing for a fast, safe and affordable solution. Fastbraces® Technology high performance bracket systems allow for movement of the roots of the teeth towards their final positions from the beginning of treatment by torquing them from the very first appointment. Patients can now get results often with less sensitivity, in times measured in weeks or months. They have been developed and tested over the past 25 years and available in multiple countries around the world. Fastbraces® Technology is fast, safe, easy and affordable treatment. 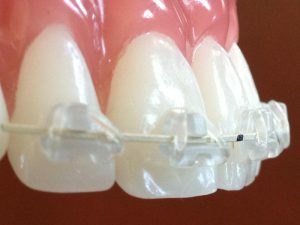 With the patented triangular design of the braces, cutting edge techniques and a special heat-activated wire, this new technology is revolutionizing the field of orthodontics by now allowing both general dentists and specialists orthodontists to offer very efficient nonextraction comprehensive orthodontic treatment to their patients. The decision to get braces can be scary one. 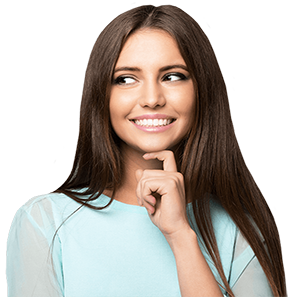 However, knowing the entire process from consultation to beautiful smile can help a patient be more confident about the decision to choose Fastbraces® Technology. It should be the right of every child and adult to go to their neighborhood dentist and get a beautiful smile without having to pull teeth in most cases. Read on to learn about the treatment process! A Customized Plan is created for each patient. Once a Fastbraces® Provider has been selected and a consultation scheduled, the doctor will take radiographs and pictures of the patient’s teeth. This will help the doctor create a customized plan for each patient. While there are no miracle shortcuts in orthodontics, Fastbraces® Technology is different by design, which allows for the treatment to be measured in weeks to months, not years. Traditional braces are usually square in shape and typically move the crown of the tooth in the first year, and the root of the tooth towards its final position in the second year, thus requiring about two years of treatment. Fastbraces® Techonology allows for movement of the roots of the teeth towards their final position from the onset of treatment, thus completing treatment in weeks or in months instead of years! In our practice, each member serves our patients with honesty, respect and love. By working in such a nurturing environment, we doctors and staff, find maximum personal satisfaction as we make a contribution to the health and well being of our patients.